Add a pop of modern glamour to your home decor with this Table Vase. 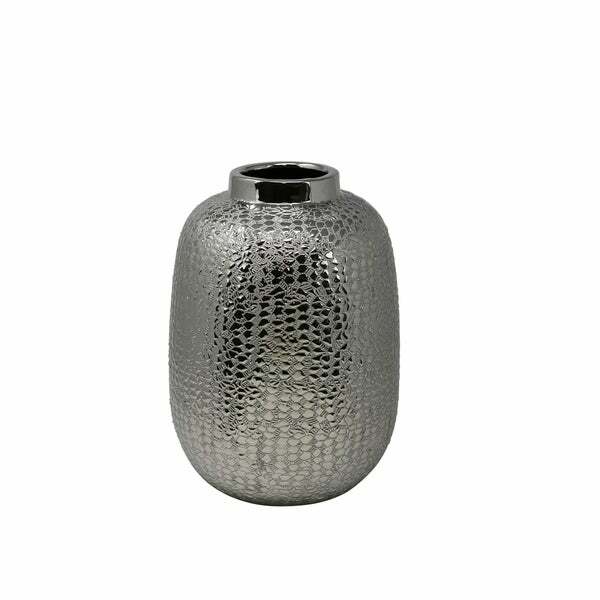 Featuring textured alligator skin pattern, this vase boasts a nature-inspired design with a contemporary twist. The vase is made from high-quality ceramic for durability and it features a robust urn shape that offers plenty of space for displaying your favorite floral arrangements. It is a distinctive accent piece for your shelves or table top in any corner of your home. The vase is made from high-quality ceramics for a lasting durability. Inspired from nature, this vase features an alligator skin pattern on its surface. This urn shaped vase offers plenty of space for displaying your favorite floral arrangements. Dimensions 9.0 In. X 9.0 In. X 12.0 In.